The Leicester Curry Awards 2019 is almost upon us and we couldn’t be more thrilled! The team has been working incredibly hard to make this year’s event bigger and better than the last. We received thousands of public nominations from more Indian eateries than the previous two years, but only five lucky finalists in each of the six categories made the cut. The categories include, Best Vegetarian Restaurant, Best Takeaway, Best Pub Restaurant, Best New Restaurant, Best Fine Dining Restaurant and Restaurant of the Year. After the anticipated shortlist announcement at BBC Radio Leicester at the beginning of March, our panel of mystery judges were set to work to make their all-important rounds. Between them, they have eaten at the 30 curry establishments across the city and county with strict grading criteria to help them with their decisions. So, without further ado, we are excited to present the first of our mystery judges…. “Overall, the experience has been hugely positive; here in Leicester we’re incredibly lucky to have such an abundance of places to tickle our taste buds with dishes from the Indian subcontinent. 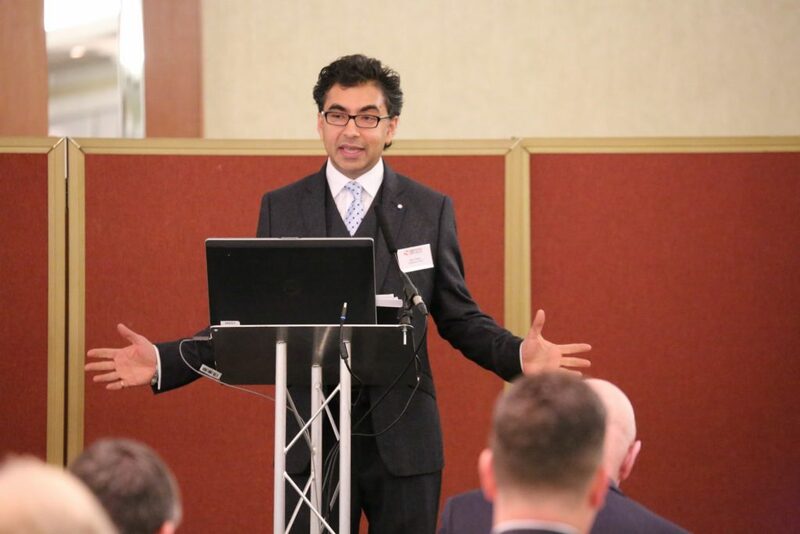 When asked about his role as a judge over the last three years, Rajiv said: “It’s been a privilege to have been a judge on the Leicester Curry Awards for the past three years. I’ve thoroughly enjoyed sampling the wonderful pubs and restaurants in our city. “Over the years, I’ve visited Indian restaurants throughout the country and having spent several months travelling around India, I believe I have a pretty good idea what makes a decent ‘curry’. “The role of a judge, however, isn’t just about taste-testing the culinary delights on offer; it’s about giving your verdict on the service, the standards of hygiene, deciding whether or not the meal was value for money and if it’s somewhere you’d rush back to or avoid like the plague. Keep your eyes peeled for our next mystery judge reveal!